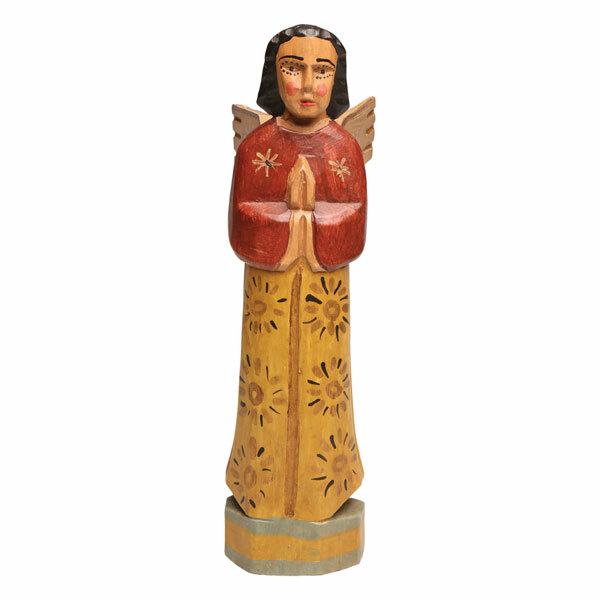 With her dark hair, rosy cheeks, and understated wings, she looks more human than angel, prayerful and humble. 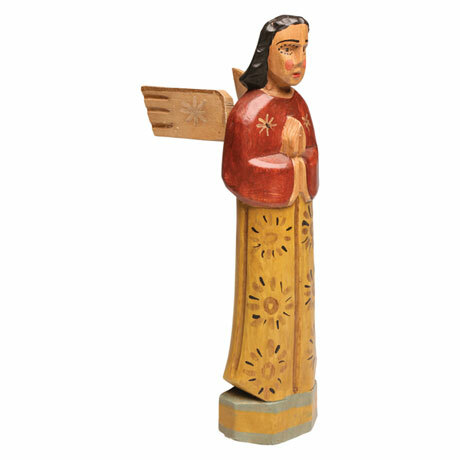 Hand-carved and hand-painted by artists in Guatemala, she's a calming, comforting presence in your home. 15" high, no two are exactly alike. An eco-friendly Fair Trade item; for every tree harvested, 30 are planted.